This is a lovely village house that has a superb terrace with great views. 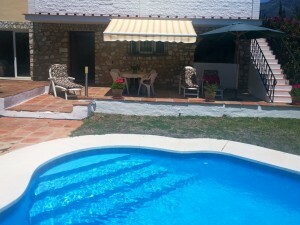 It is located in a small village just outside Alcala la Real and would be ideal as a holiday home and for renting, but also perfect for a young family. It offers 2 double bedrooms, full bathroom, kitchen and a great sitting room with its own log burner. The roof terrace is sizeable too, with 360 degree views. The property is being sold with all the furniture too, so for the price, its a real bargain.